This Messi & Paoloni new model has been specifically designed for high power amplifiers, and high frequency Moon bouncing lovers: it’s a further evolution of our M&P ULTRAFLEX 13 /.500”, in fact, the wires in the inner conductor are no longer 19, but 37. This improvement leads the cable to an even greater flexibility and better attenuations values. amazing attenuations up to 10 Ghz. 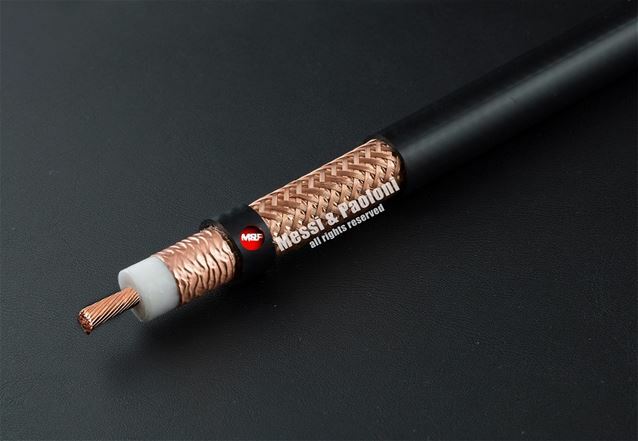 Notwithstanding its size is only 12,7 mm (effective 0,50”), this prestigious cable rivals larger models size 14,6 mm or stiff 15 mm corrugated copper cables, reducing the number of connectors needed from 4 to 2, because no further flexible cable is needed for the final connection to the antenna. >105 dB (SA), and improved sturdiness reached by adding 24 more wires to the braid, for a total of 168 wires (70% coverage + 100% foil). This leads to a dramatic reduction of the background noise. Moreover, the braiders used are 24 spools, instead of 16 spools, giving 50% MORE CROSSOVERS. Reduced weight and bulk compared to its direct competitors (for a reduced stress of the ”hanging and swinging” stretch of the cable in rotor operated antennas). 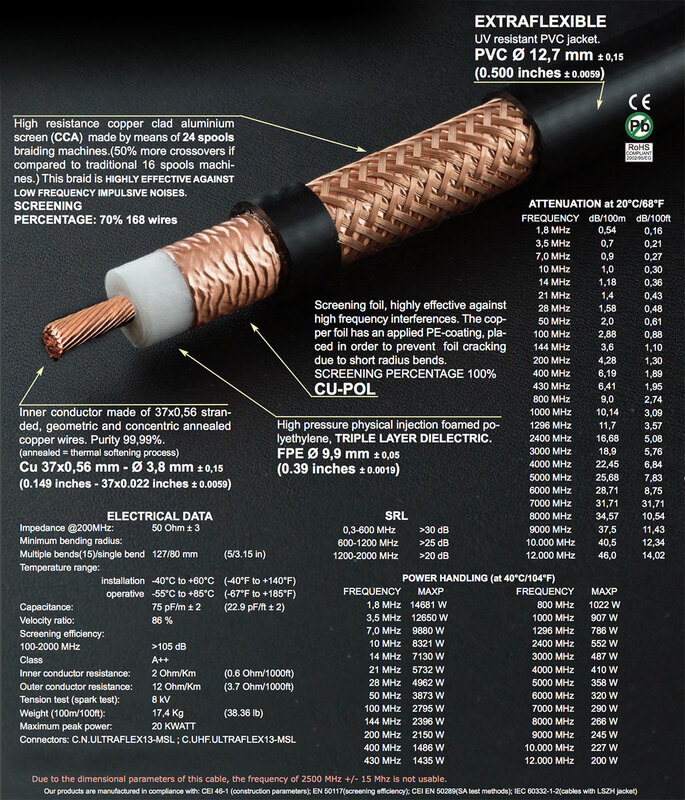 The high power handling and the incredible performances compared to some bulkier, heavier and more expensive cables of the competition, make it a must for ambitious installations (especially EME applications and rotator operated antennas). 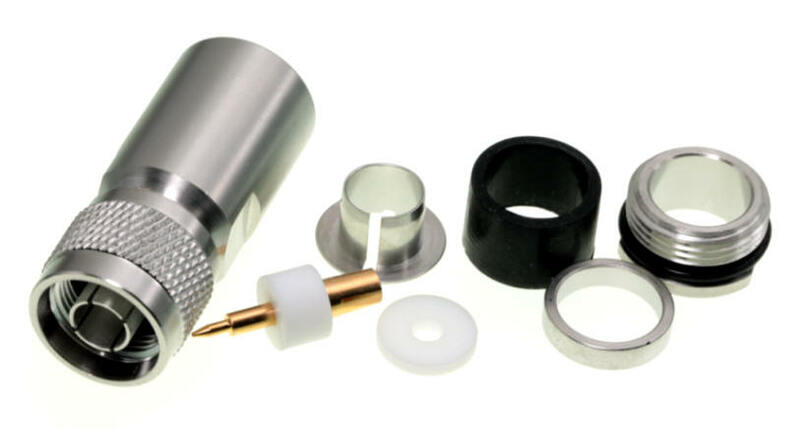 Professional UHF (PL) and ”N” connectors are available, along with video assembly instructions. 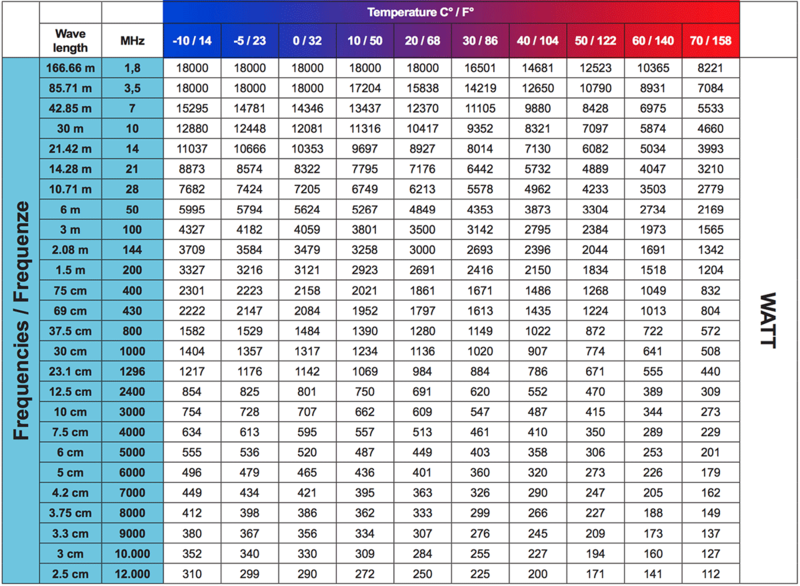 Given a power fed to the X value (any value expressed in Watts), the actual power output of the cable is shown in the table in the form of remaining percentage. 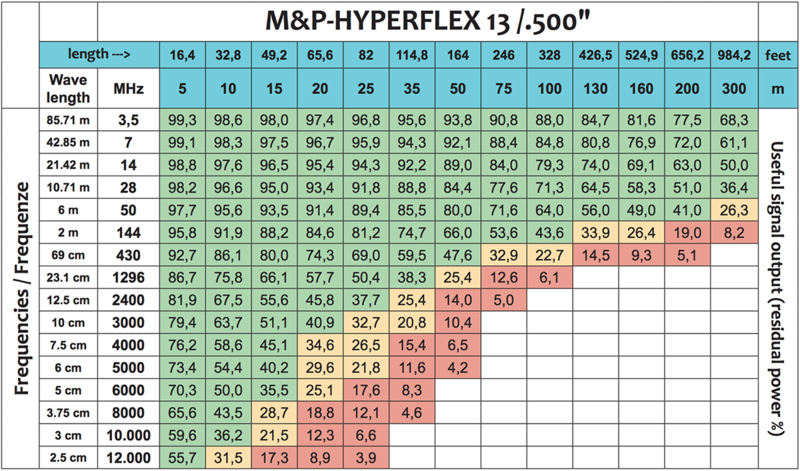 (for example, if we use a cable such as M&P-HYPERFLEX 13, entering 1000 Watts over a length of 35m, at a frequency of 144 MHz, there remains 74.7 % of 1000). 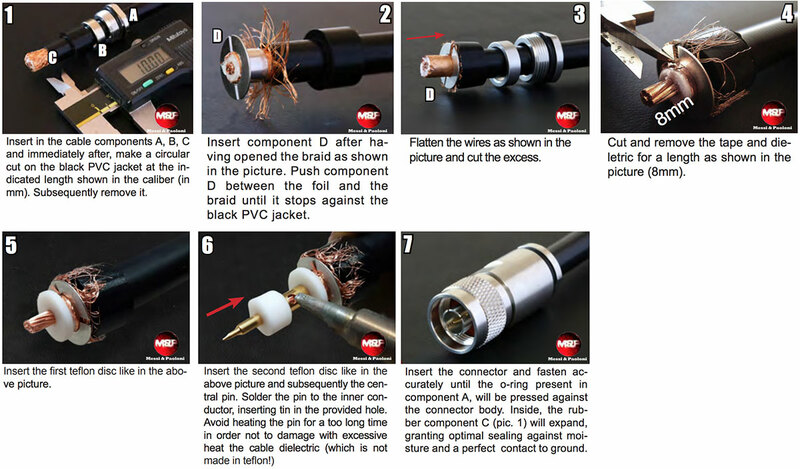 For maximum applicable power, see the Power Handling of the cable concerned. From these values, have already been deducted the SRL values, typical of each one of our models, for the respective frequencies. REMEMBER: Make sure to match the line accurately!